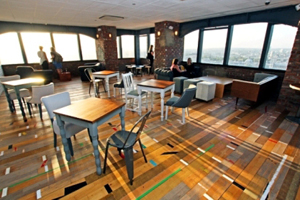 Altitude London opened a new pop-up space, Skyloft, for corporate events. More than 200 guests attended the space’s launch at the top of Westminster’s Millbank Tower last night, including representatives from Fitch, BBC, BP, Deloitte, Yahoo, Barclays, BT and Emap. The space was created especially for the summer games, has offers a quintessentially British design and panoramic views of the capital. Altitude London chief executive Danielle Etzin said: "We believe this exciting event space offers something completely new and we are thrilled by the feedback we have received from our clients."